The Community representatives agreed to work with the CCG on public engagement and consultation and we will be having a further meeting to progress our engagement. In the meantime, the CCG board will this month be approving the funding to start preliminary feasibility studies and to proceed with appointing advisers and architects to progress the Surgery scheme. 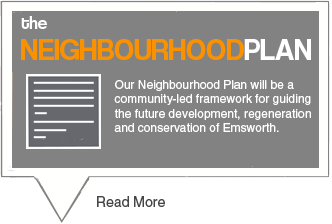 We also invited the CCG to consider a potential opportunity to include the new surgery and other adjacent public and community services in a potential ‘North Street Community Hub’ in the emerging Neighbourhood Plan that the Emsworth Forum is currently working on. This could possibly include other sites in that part of Emsworth town centre such as the ECA building, the Fire Station, the Museum and the Post Office. This is an idea that emerged from recent Aecom report and recent neighbourhood planning discussions with key stakeholders. 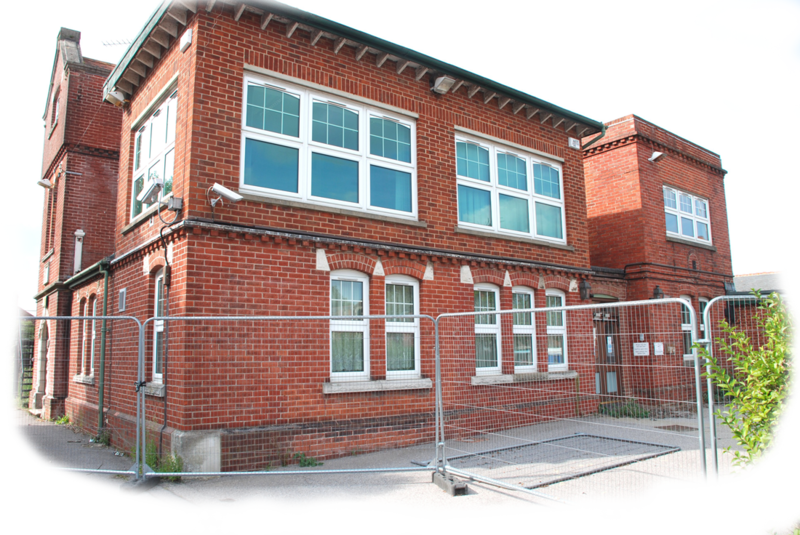 The CCG said they were interested in exploring that with us as they had been talking to Hampshire County Council about the potential for a new home for the Emsworth Library on the site – which could be a very positive development for Emsworth Library services. We explained to the CCG that it may be possible, if the timing is right, to include both the surgery and the Community Hub scheme in the draft Neighbourhood Plan using the Localism Act to pass the scheme through a Neighbourhood Development Order. This would potentially have the advantage of speeding up and reducing the planning costs of all parties – and would of course deliver improved public service infrastructure for Emsworth residents, businesses and visitors. 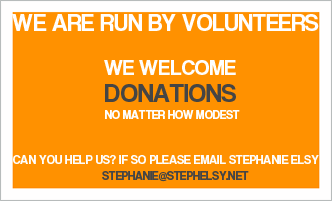 The Forum and other statutory partners may be able to obtain government funding to assist with developing the scheme. We agreed to continue our discussions with relevant stakeholders (landowners and tenants) and to arrange a meeting at a future date with interested partners to explore this further. The Forum will continue to engage with all relevant stakeholders to progress this opportunity. 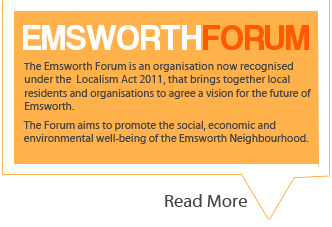 We hope that you agree with us that this could be an exciting opportunity to develop public services and the public realm in this part of Emsworth. We will keep you informed of developments on this going forward. Thank you so much to everyone who completed the survey online or via our drop boxes in the Library and the ECA. We had a massive response – over 600 replies (657 as of writing today and they are still coming in). 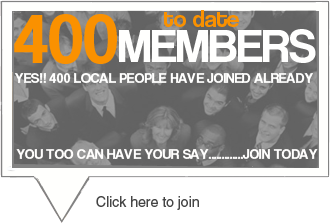 79% of you opted for a new surgery plus space for community healthcare services to be offered on the new site. 13% of you said you wanted the surgery only and 3% said you would like to see the surgery built with housing. (5% did not choose one of the options given). You told us that you are keen to have the new surgery built as soon as possible in order to relieve the current pressures faced by the Emsworth Surgery. Some of you said that if funding was not available to expand services, or it would significantly delay the new surgery being built, then you felt they could be added at a later date when funding had been raised. Many of you also stated that you would like to see part or all of the present building preserved in the new scheme – and that any new building should be a good design. We have drafted a report summarising this issues you raised which you can find on our website here. 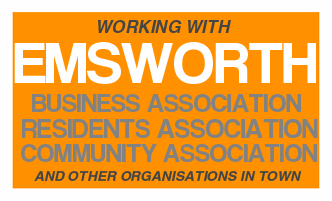 In light of this, we have written to the South East Hampshire CCG, sending them a copy of our report and asking them to take these views into account and conduct an urgent needs assessment for the Emsworth area before they finalise the scope of the scheme. We emphasised that people in Emsworth want the new surgery as soon as possible and do not want to put funding at risk or cause significant delay. You can see a copy of the letter we sent here. We have also sent the report to our local MPs to ask for their support. Thank you again for the fantastic response to this survey. And a special thank you to our brilliant volunteer leafleters who got out 5,000 leaflets across the town. We will keep you updated on this important issue for the town.